T-Mobile has said that, if its merger with Sprint is approved, it’ll continue supporting the 1Million Project. 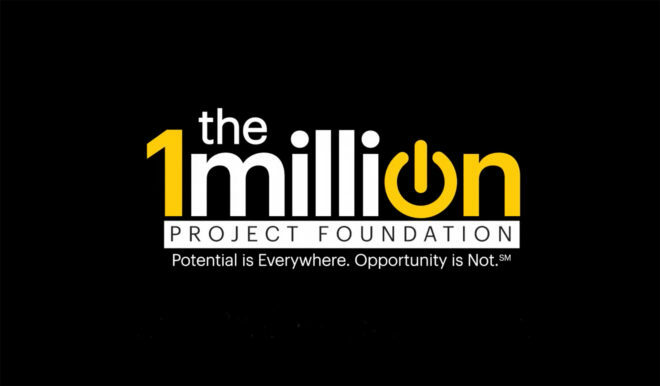 This foundation is Sprint’s effort to help one million high school students to get connected by giving them mobile devices like smartphones, mobile hotspots, and tablets along with free Sprint mobile service for up to four years in high school. This includes 3GB of LTE data each month and unlimited calls and texts. Sprint CEO Michel Combes recently said that the 1Million Project has connected 200,000 high school students. “New T-Mobile’s commitment to bridging the digital divide is further illustrated by its pledge to continue supporting Sprint’s signature corporate philanthropy — the 1Million Project,” T-Mobile said in its filing with the Public Service Commission of New York. This is T-Mobile’s latest effort to build support for its proposed merger with Sprint, which is still subject to review by regulators. T-Mo recently vowed to create 5,600 American care jobs by building five new Customer Experience Centers and expanding two existing centers. And today, T-Mobile pledged to keep legacy T-Mo and Sprint plans around for three years post-merger in response to opponents of the deal who say that it’ll result in higher prices for consumers. T-Mobile CEO John Legere and Sprint Executive Chairman Marcelo Claure will have to support their merger in person soon, as they’ve both agreed to testify at a hearing on February 13 being held by the House Committee on Energy & Commerce and the House Judiciary Committee. I find it so hypocritical when a company wants to portray themselves in a positive manner but they only want to do good things like this but only “if” they get what they want in return. If T-Mobile is so charitable what is keeping them from continuing to support this foundation right now? I’ll save the Dreamers…if you build my wall. Trump ain’t saving no Dreamers lol … you can build the Great Wall of America and the minute the wall is built , game over .. dreamers will be nothing but a dream ..
Right,let see you are going to walk in the midfle of the desert,with a 20 foot to 40 foot long ladder,maybe you haven’t seen the pictures of yhe part that is complete,it is metal slats,that means after you climb your ladder,then what do u do? Jump down 20 to 40 height. I k ow you carry 2 ladder,then after you climb up 20 to 40 feet,you lower the second ladder down. Mmmm,that good business to start in Mexico,buy your 40ft ladder here and carry it to the wall. Buy 1 get 1 free. Yea. Mostly because TMUS and Sprint are two separate companies so the logic in your comment is lacking. Why would TMUS support Sprint’s charitable efforts today? TMUS does a ton of charitable work on it’s own, and will continue to do so regardless of the merger going through. I get your point, but damn it’s cynical. Anything to get this merger through. Good job John!